A customer provided me with their storyboard in PowerPoint that included a script for each slide. In some cases the slides have minimal information, while the script is comprehensive. 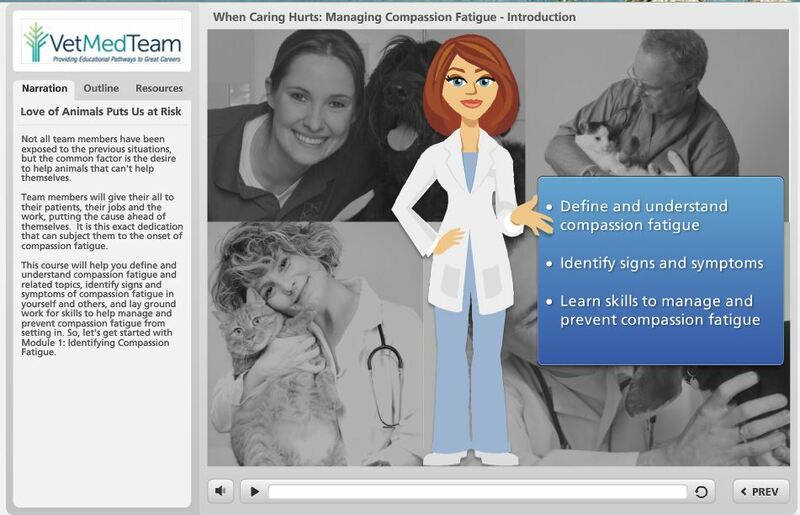 Based on feedback from my other eLearning development, the slide should match the narrated script. Is that your experience also? It seems to me that a word-for-word script would be more accommodating than slides with paraphrased text, let alone nominal text. What’s the best practice? Is it better to add the appropriate text to slides that matches the narration, or is it best to use just a few trigger words on the slides? TIA! In general, it's normal to allow the user to read what they hear. This provides visual confirmation of what they heard. Storyline has you do this via Notes, while Captivate allows you to read in a CC box in front of the slide (a little more integrated). Each method has it's pros and cons. I develop technical and regulatory courses for adults, therefore I am required to display all spoken information, so what I do in storyline is a hybrid (so to speak). I create a translucent box along the bottom of the slide and display the text as it is synched with the audio. I typically allow no more than 3 lines of text and make it about 2 points smaller than the content font. I also always fade the test in and out. This gives the appearance of a CC box (like in Captivate) so the user is not staring at the Notes while content comes and goes. This also allows the user to view their course progress and position since the TOC is always displayed. Depending on your audience, you will need to decide the best approach to the on screen amount or specific text or phrases since each audience and each course may have difference legal, operational, or organizational requirements. Another solution is to add the CC appearance allowing the user to choose if they want to view the CC panel or not. This can be done by creating a global CC variable (true false) on a CC button. The variable will display the CC panel if true and not if false. Thanks Dennis. I hadn't even considered a CC approach, or a 'ticker' for text. Great ideas! I include the full narration script in the Notes section at the side of the player, and set the player default to open with the Notes showing on top. That way viewers who want to read along won't have to search for the script. I've also sometimes included the narration script as a PDF attachment so students can download and print it to take notes on. I feel strongly that the slide should almost never contain the narration text. Though learning style theories come and go, I suspect we can all agree that people consume/learn/remember information differently. Some will learn best while reading along with the narrator. Some do better with a visual cue or a key word or phrase to connect the pieces. I use the slide space for those visual cues, key words and phrases. And to emphasize each point, I use lots of non-obnoxious animation (I love the basic fade in) to synch the key points with the narration. Attached is a sample slide showing narration on the Notes tab at the left side, along with visual and key phrase content on the right, which were faded in to coincide with the narration. Hi, Kate! I think Dennis and Tess have given you great guidance. I will just add my own two cents from what I teach: Typically, you want the voiceover script to reflect what's being discussed onscreen, but not literally "parrot" it word for word. Parrotting is deadly dull for most learners and they will simply tune out. It also gives the voiceover artist less of a chance to get inside the learner's head by saying the same thing a different way. Of course, no key learning points should ever be only in the audio, either. I worked on a course once where the script had been approved by a judge as part of a settlement, and as dry as it was, we were not allowed to change a single word. Painful for the learners, but there you have it. If you have a target audience for whom English is a second language, then word-for-word matching may be more helpful to them. In general, when you use narration (I'm not necessarily a fan of having it on every single slide, though clients usually want it out of habit), it should reinforce and enhance what's being stated onscreen. The only way I would include script text is an optional format like the Narration tab Tess is showing above. When I'm the learner and there is audio, I really don't like to have matching text on the screen. There may certainly be exceptions where it's effective but I don't see the point of of even including audio and all the time it takes to record, edit and sync if all of the text is going to be displayed anyway. For one, people seldom process audio and read at the exact same speed. One is always ahead. This doesn't cover more learning types, it just gives all of the learners more to process at once. Of course they can just mute the audio if it's a distraction, but again- why go through all of the time and resources to record audio if it doesn't matter whether or not it's muted? Having both degrades rather than supports the value of the other. As Tess said, theories come and go but the movement in our industry for some time has been the push for courses to be engaging learning experiences. The idea that more information = more learning is (thankfully) fading away as companies question why courses packed with everything a learner would need to "know" didn't result in them actually being able to "do" something. It's similar with good vs. bad PowerPoint presentations. If the presenter is going to put up text-filled slides and then read them to me, I'm wishing he had just sent me the deck so I could read it myself. I'm far more interested in hearing what the presenter has to say and seeing slides with representative images and a few key words to support each topic or point. Otherwise, why is he even there? I'm discussing all of this from my perspective but sometimes that's the best way to relate to our learners. It's strangely easy to forget how we feel when we're the ones in the hot seat. Hopefully you'll get a lot of great feedback here. It's definitely a good topic for discussion! In summary, we seem to conclude that it really is up to you and your client to determine if, when, where, and how, you want slide notes and narration to be available to the learner. We all have the right answers to apply to the right solution. No matter the choice, what you need to account for are the clients requirements, be it 508 compliance, hardware and bandwidth requirements, mobile compliance, player feature selection, or content presentation. Your solution will always be relative. So, Kate: Thanks for starting this conversation. The best thing about asking a question is getting great feedback. ... The idea that more information = more learning is (thankfully) fading away as companies question why courses packed with everything a learner would need to "know" didn't result in them actually being able to "do" something. Agree with Dennis that all the info here is great. Natalie, I think you nailed it here, and I love your comment about relating to the Learners. Taking a step back and and looking at the content through the Learner's eyes always strengthens a course. Also VERY important is Dennis' comment: "No matter the choice, what you need to account for are the clients requirements..."
Don't forget 508 compliance if it relates to your client.